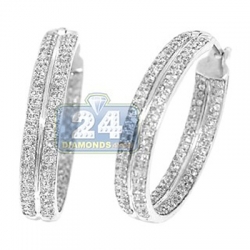 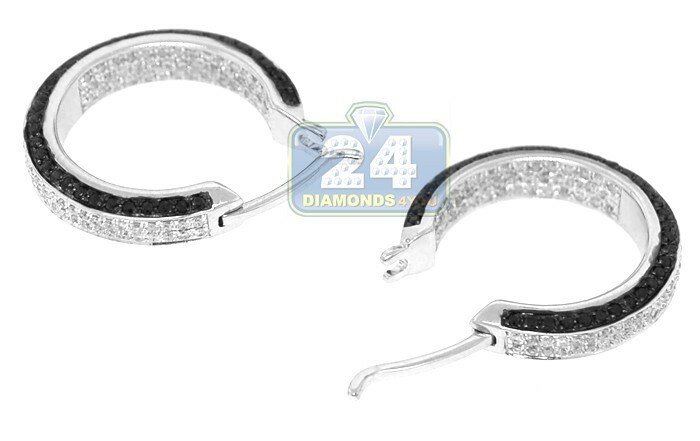 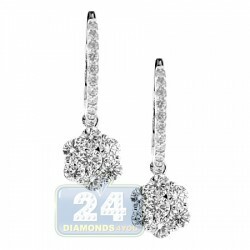 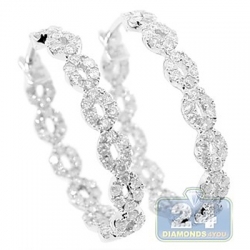 Lovely and stunning, these diamond hoop earrings will add a fancy touch to any look! 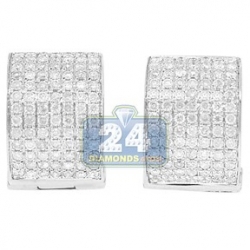 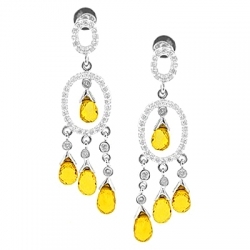 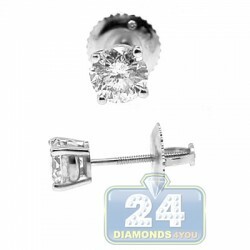 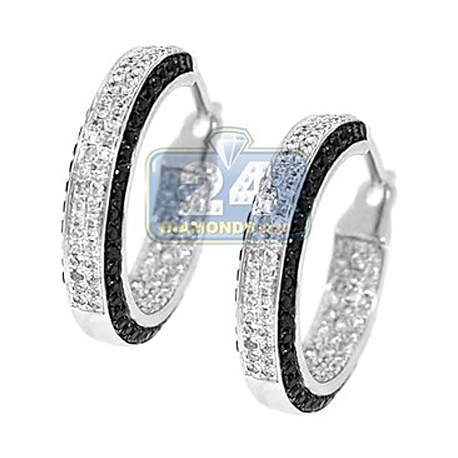 They are professionally made of 14 karat white gold, and highly polished for ultra smooth shiny finish. 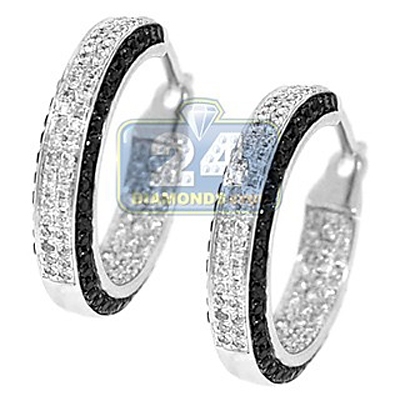 Our women's round hoop earrings are paved with icy white round brilliant-cut natural diamonds as well as display an outline of black diamonds, all totaling 1.20 carat. 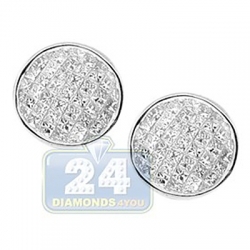 They have height of 20 mm and width of 3 mm. 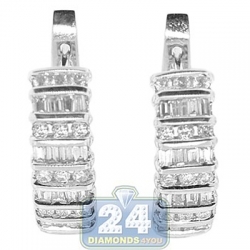 Secure clasp and a chic look for any occasion!